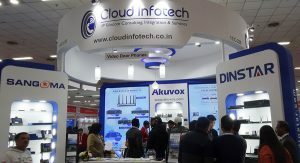 ItVoice | Online IT Magazine India » Cloud Infotech Participated in Convergence India 2019 Expo, held at Pragati Maidan New Delhi, India from 29th to 31st January 2019. 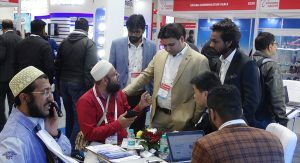 April 19, 2019 9:23 pm You are here:Home NewsCloud Infotech Participated in Convergence India 2019 Expo, held at Pragati Maidan New Delhi, India from 29th to 31st January 2019. Convergence India launched three days Exhibition on the latest trends with new technologies in various fields. One of the best platforms, where we connect multiple sectors like Telecom, Broadcast, Cable and Satellite TV, Cloud & Big Data, IoT, Digital Homes, Mobile devices, Film and Radio, Content Creation, Management and Delivery and a lot more. 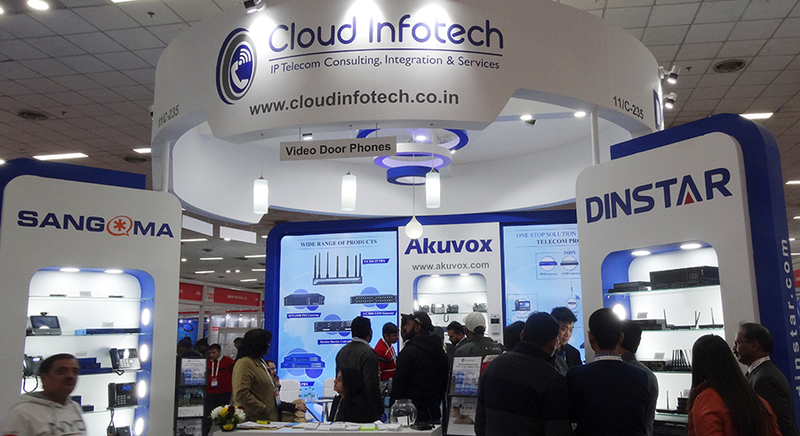 Cloud Infotech, as an active participant from last few years was presenting a complete range of IP telephony products & Security/Surveillance devices. In the ongoing process of improvement, this time we added one more stone, as an inhouse Brand UbiqCom which covers some intelligent devices in both field telecommunication & security/Surveillance. The products covered under this brand are Wifi IP-Phone, IP-Phones, IP-PBX, Unified Communication Devices, Video Door Phones, Wi-fi Doorbell, Smart Cameras (like Solar, 4G Solar, Wi-fi Cameras, Battery Cameras, IP & Analog). These products are launched after some serious R&D at all the possible levels in the market. In addition, with that, we also focused on the large range of Enterprise products under Some well-known brands like Sangoma, Dinstar, AKuvox for which we are the exclusive Distributor. Some of our VoIP Service supported devices are PRI cards, Analog cards, VOIP gateways, GSM gateways, Analog gateway, UC gateway, VOIP PBX, IP-Phones, Wifi IP-Phones, CCTV Camera’s (Solar Camera, Wifi Camera, Battery Powered Camera, Dome Camera, Bullet Camera etc.) and Headphones. Convergence India 2019 event give big platform to the industry professionals to demonstrates the telecom business idea.CloudInfotech explore our business to globally and locally both via convergence events. 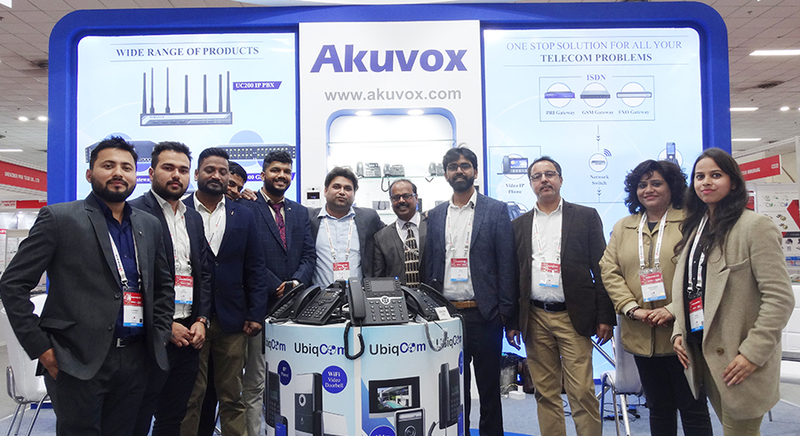 Through Convergence India 2019 Expo we got best opportunity to connect with huge numbers of visitors and showcasing the newly launched products along with some intelligent solutions available for live experience. 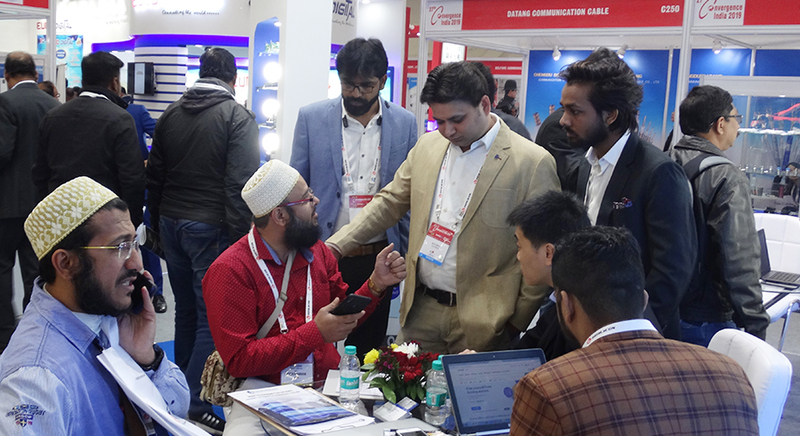 This Enterprise Meeting arrangement sets another benchmark by offering expert advices for all VoIP products and solutions to all the visitors under one roof.